Located in central NJ, PiCSNJ is a well-respected, single specialty group comprised of physicians who are absolute masters in their ﬁeld. In fact, ﬁve of PICSNJ’s physicians were named by New Jersey Monthly Magazine as a “Top Doctor for 2017,” a highly prestigious and coveted award presented to a relative handful of physicians. Thousands of patients throughout the region and beyond rely on PICSNJ’s expertise in pulmonary, critical care, sleep, and amyotrophic lateral sclerosis (ALS) services. All of PICSNJ's physicians are members of the volunteer faculty at Rutgers RWJ Medical School, and have all participated in teaching medical students, residents from many of the specialties of the school, and pulmonary fellows. PICSNJ’s physicians rotate teaching rounds in RWJUH’s MICU and instruct college students, advanced practice nursing students, and medical assistant students. 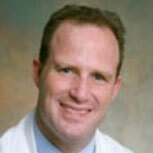 David Fischler MD, joined the group in 2004. In 2005 he became a Clinical Instructor at RWJUH and in 2016 was named Associate Director of RWJUH’s MICU. Dr. Fischler is one of PICSNJ’s “NJ Top Doctor” awardees. “The word ‘intensive’ appears correctly in our group’s name as it applies to the medical care we provide. But operations and ﬁnance needed to be tightened up, and that’s not to criticize our administrative team. It was all about the automation we were using. We knew that was a weakness and after doing our due diligence, we decided to implement MedicsRCM,” Dr. Fischler said. Dr. Fischler continued, “The MedicsRCM team came in and provided an assessment on how much they could improve our cash ﬂow. We were skeptical but they were conﬁdent and resolute about how they could help us. The numbers couldn’t be ignored, and they weren’t." PICSNJ went onto MedicsRCM and the predictions given proved to be absolutely correct. “There was an almost immediate uptick in revenue which was extraordinary since we were already doing well,” Dr. Fischler said. MedicsRCM performs pre-appointment eligibility veriﬁcations via appointments PICSNJ puts on MedicsRCM’s scheduler. EOBs / ERAs are handled by MedicsRCM as is PICSNJ’s claims tracking. Editing and resubmitting of denied claims are done within three business days. MedicsRCM processes all of PICSNJ’s patient statements. “We like how patients are directed to call MedicsRCM if they have statement questions. That alone removes a signiﬁcant amount staﬀ time in having to take those calls. MedicsRCM compiles, processes, and reviews reports and KPIs with PICSNJ. As with all MedicsRCM clients, PICSNJ has 24 x 7 x 365 secure cloud access to their data and can view anything at any time, on demand. They use the scheduler, and can produce their own reports whenever they want, if they want. PICSNJ uses the Medics EHR with MedicsRCM, but practices can use their existing EHRs interfaced to MedicsRCM, or not use any EHR at all and just do quick data entry with an e-superbill provided by MedicsRCM. "There was almost an immediate uptick in revenue (with MedicsRCM) which was extraordinary."